This article is 3312 days old. 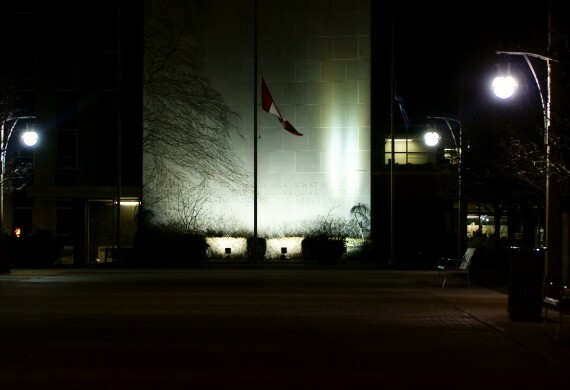 Earth Hour, a once-per-year event to get people thinking about the energy they use, was somewhat practiced in Windsor. 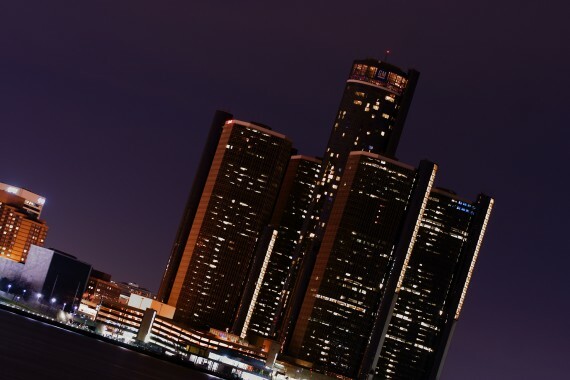 While restaurants like Chanosos and Oishii, cafe’s such as Milk and the Coffee Exchange are regular yearly participants in candlelit events, much of Windsor remained illuminated, Saturday evening. 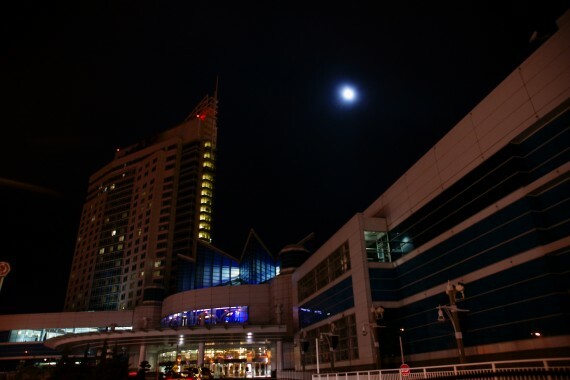 Caesars Windsor made use of their breaker boxes, disabling tower-illuminating floodlights and switching off their rooftop LED signs. Many of the complex’s hotel rooms were dark. Nero’s steakhouse within the casino played host to a candlelight dinner. 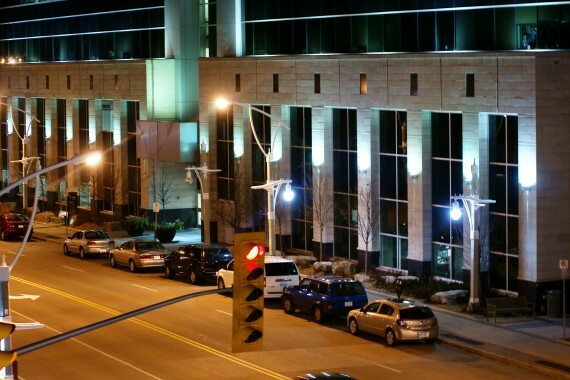 Despite the City of Windsor’s stated committment to observing Earth Hour, office lights remained on at City Hall’s ‘400 Building’, and external pier floodlights brightened the building under the night sky. Down the street, the story was similar at City Hall’s main entrance. But some good came out of Earth Hour in Windsor. Tom Lucier of Phog Lounge tweeted this picture as they turned off the lights for an hour, and literally dozens of small Windsor businesses took part in doing their bit. Those who chose to observe the event undoubtedly made the necessary steps to reduce power consumption — if only to save their-selves money; businesses benefited from an increase in patronage, if they served a meal illuminated only by a fiery wick; and General Motor’s Headquarters at the Renaissance Centre in Detroit powered themselves to a yearly moment of symbolism by switching off a giant “GM” sign.